Reynosa, Tamaulipas — At least 15 people died during armed clashes with the Mexican military Tuesday in northern Tamaulipas, state officials reported. The fatalities came as several blockades sprang up across Reynosa streets, clogging traffic and leading city officials to advise people to avoid the streets for several hours Tuesday morning. Officials did not say whether they suspect the blockades Tuesday were drug cartel-related. Similar obstructions were reported earlier this month in Monterrey, where suspected drug cartel members have occasionally blocked primary highways that lead to the city in an effort to stop security patrols. Slain Tuesday were seven armed civilians involved in a clash with Mexican military soldiers near the Pemex installation along the highway to Monterrey, state authorities said. Three other people involved in a gun battle between civilians and the Mexican military in Rio Bravo, according to Tamaulipas state authorities. Five men were shot and killed in a mechanic's shop Tuesday afternoon in a neighborhood near the Juárez airport, Chihuahua state prosecutor's spokesman said. The shooting took place shortly before 3 at the shop near the intersection of Tamaulipas and Morelia streets. State authorities identified the victims as José Adrian Soto, 33, Raul de la Cruz Rodríguez, 39, Jesús Eduardo Soto, 25, Victor Jaciel Soto, 21, and Jesús Abraham Pérez Pérez, 26. Investigators counted 29 bullet casings at the scene. An investigation continues. There had been at least one other homicide that day. On Tuesday morning, Marcelo Meraz Vázquez, 21, was shot to death on a bed in his home in the town of El Porvenir in the Valley of Juárez, said Julio Castañeda, a spokesman for the state prosecutor's office. Meraz was shot multiple times by gunmen armed with AK-47s. "They came in for him," Castañeda said. A former Barrio Azteca gang member from El Paso suspected of being involved in the killing of three people tied to the U.S. Consulate in Juárez claimed the target of the attack was a detention officer who mistreated gang members at the El Paso County Jail. Mexican authorities on Tuesday accused Ricardo "Chino" Valles de la Rosa, 45, of being a lookout for gunmen who carried out the hit. Valles was arrested Friday by the Mexican army in Juárez and remains in custody in Mexico. Valles alleged during his detention hearing that a gang leader ordered the hit on Arthur Redelfs, an El Paso County sheriff's detention officer, because Redelfs mistreated fellow gang members at the jail. Valles had another hearing Tuesday before a judge, also in Juárez. 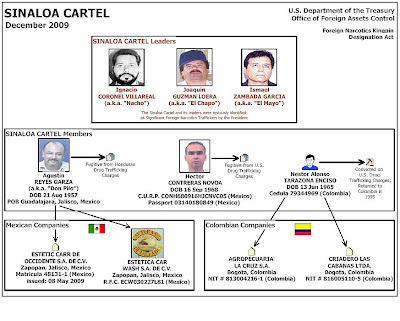 The Barrio Azteca is a brother gang of the Juárez Aztecas gang, and both are aligned with the Carrillo-Fuentes cartel. 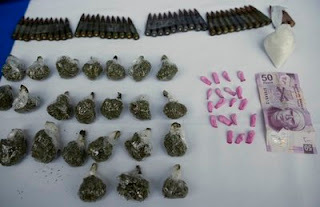 Executed for "Pointing the Finger"
Three armored vehicles, weapons and drugs were the items found during a military operation carried out in an underground parking in Cristina Plaza, located in the heart of the city. 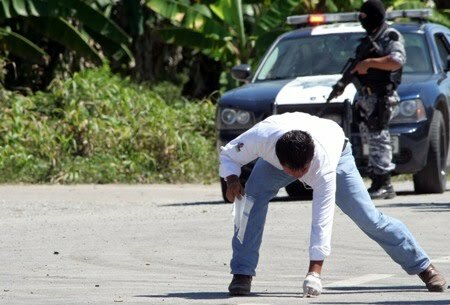 The person who notified the authorities about the vehicles was executed by sicarios a short time after. 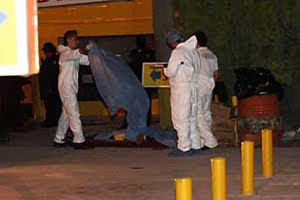 Guasave, Sinaloa - After a military operation was carried out in the underground parking lot of the Plaza Christina where the Mexican army seized three armor vehicles, weapons and drugs, armed Sicarios returned to the crime scene and killed a person that was the apparent care taker of the parking lot. According to information obtained at the crime scene, the person who was killed by multiple gun wounds from gunfire was a person by the name of Gabriel Gaxiola Sotelo, 37. Found at the crime scene next to the body of the victim was a narco sign left by the killers with a message that mentioned the facts of the operation and accused the victim of being the person who notified the authorities. An AK-47 known as "cuerno de chivo" was used to execute the victim leaving 9 spent casings on the floor around the body. 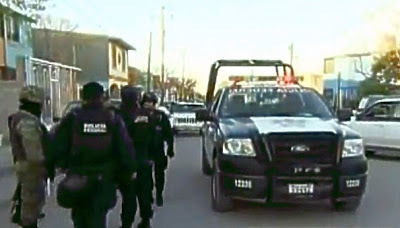 Ciudad Juarez, Chihuahua – Eleven people, including an 18-month-old girl, were killed in Ciudad Juarez, considered the most violent city in Mexico, the Chihuahua state Attorney General’s Office said. 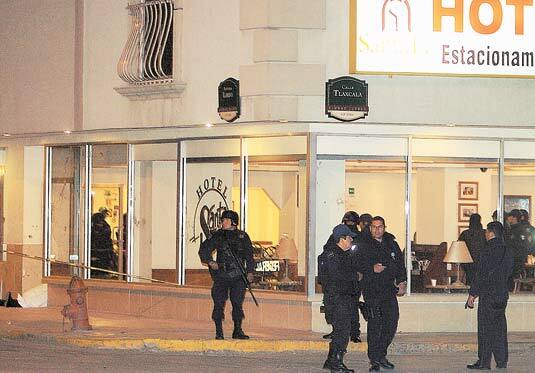 Gunmen opened fire inside the Climas Guerrero store in Juarez Nuevo, a neighborhood in the southeast section of the border city, killing two men, a teenager and the toddler. Javier Soto Nuñez, 40, Jorge Dario Ceballos, 20, and Aaron Varela Corral, 17, were pronounced dead at the scene. Danna Nahomy Ceballos, age 18 months, was shot multiple times and died while being transported to a hospital. Gunmen killed three men who were traveling through another neighborhood in southeast Juarez. 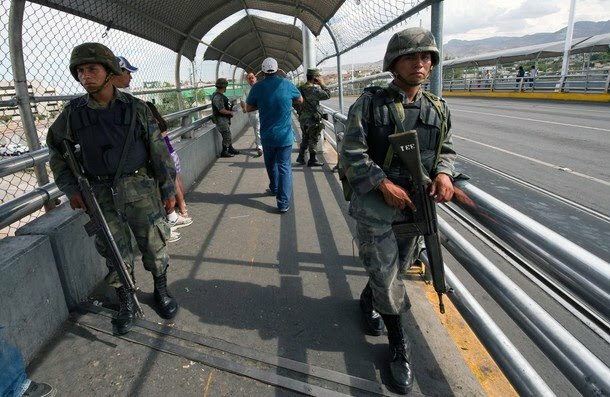 Two other men, meanwhile, were gunned down in Ciudad Moderna, a neighborhood in the southern section of the border city. Police also announced that the bodies of two women were found at separate locations. Pueblo Nuevo, Durango - Ten children, youths and young adults between the ages of 8 and 21 were gunned down, presumably by drug traffickers, in the northern Mexican state of Durango, the state's attorney general said Monday. The incident happened Sunday on a road near the town of Pueblo Nuevo in southern Durango. Attorney General Daniel Garcia Leal said that unknown gunmen who had set up a fake checkpoint on the road shot and even threw grenades at the victims, the state-run Notimex news agency reported. The victims were in a pickup truck, returning to their homes after having traveled to pick up money to support their school as part of a government social program, Garcia Leal said. The gunmen motioned the truck to stop but the victims, out of fear of being robbed or assaulted, did not comply, the attorney general said. According to official reports the multiple executions included the deaths of Yolanda (19), Ivan (17), Erika (11) and Margarita (13), all siblings with the last name of Ortega Rueda.Also slain were Juana (8), Francisca (8) and Yesenia (15), all siblings with the last name of Sarabia Mancinas. Other of the young people executed with AK-47's (cuernos de chivo) and fragmentation grenades weree Sergio González Leyva, 16 years old, Carlos Ramírez Leyva, 15, and brothers Peter (21) and Lazaro Leyva Cabrera (19). No arrests had been made in the incident, which is the latest in which children have found themselves caught in the middle of the country's violent drug wars. 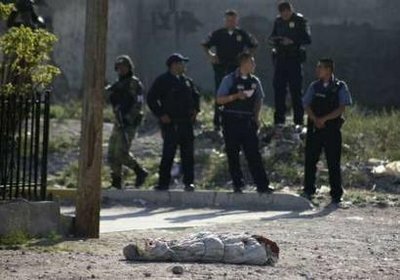 In January, in a case of mistaken identity, 15 people, mostly teenagers, were killed when gunmen attacked a house party in Ciudad Juarez, Mexico. Las Cruces, New Mexico — Ranchers along the Arizona-New Mexico border with Mexico have long become accustomed to trespassing and property damage caused by illegal immigrants and drug smugglers. But the weekend slaying of an Arizona rancher by a suspect who apparently fled to Mexico was the looming threat that always caused the most fear. 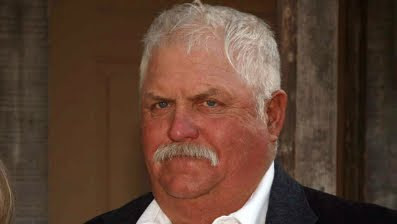 "I think everybody just feels like they've been hit in the stomach," said bootheel rancher Judy Keeler, a friend of rancher Robert Krentz, who was tending his Cochise County ranch Saturday when he was fatally shot by an unknown assailant. "A lot of us have been going to (border security) task force meetings for years and we've been warning about this, and now it's happened," Keeler said. Krentz's body, and his badly injured dog, were discovered shortly before midnight Saturday by a helicopter search crew after he failed to show up at a prearranged meeting with his brother. No suspect has been identified, but footprints tracked by Border Patrol agents, deputies and Arizona Department of Corrections dog chase teams led 20 miles south to the Mexican border. Policemen take notes next to the dead body of a woman shot by unknown gunmen at the border city of Ciudad Juarez March 29, 2010. 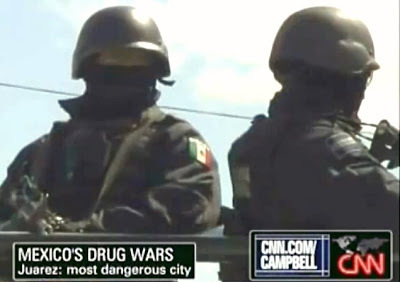 Nearly 19,000 people have been killed since Mexican President Felipe Calderon took office in late 2006 and deployed tens of thousands of troops to drug hot spots across the country, sparking new turf wars between rival cartels. 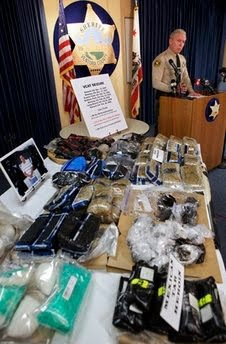 Ventura County Sheriff Bob Brooks shows Mexican tar heroin and methamphetamine seized in different raid operations at a news conference at the Ventura County Sheriff's Department Jail Annex Building, in Ventura, Calif. on Monday, March 29, 2010. Ventura County officials say the arrest of a man dubbed Mexico's 'King of Heroin' has removed a half-million doses of the drug from California streets. Authorities said a regional task force spent more than two years working its way up the chain of dealers until the arrest of Jose Antonio Medina, AKA Don Pepe, last week in Mexico. 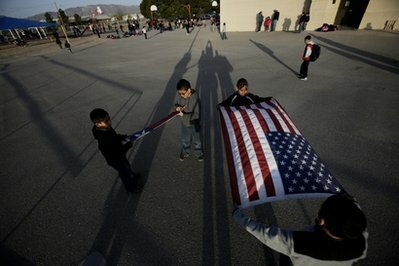 In this March 26, 2010 photo, school children prepare to raise the U.S. and Texas flags in front of the elementary school in Fort Hancock, Texas. Fear has settled over this border town of 1,700, about 50 miles southeast of Ciudad Juarez, Mexico, epicenter of that country's bloody drug war. Mexican families fleeing the violence have moved here or just sent their children, and authorities and residents say gangsters have followed them across the Rio Grande to apply terrifying, though so far subtle, intimidation. 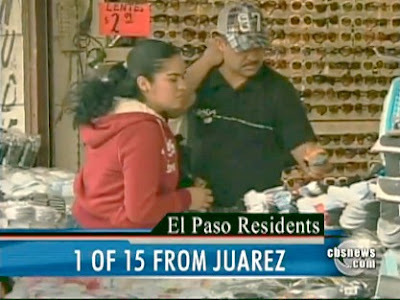 Ciudad Juarez, Chihuahua - Nowhere is the violence worse than in Ciudad Juarez, which sits on Mexico’s Border with the U.S.
Gary Tuchman takes us to the streets of the city for an up-close look at the personal toll the drug war is taking on the people there. This man has just watched gunmen ambush his brother and murder him. In one of the most frightening cities in the world, Juarez, Mexico, a place where 16 young people can get killed at a party by narco-traffickers who apparently made a mistake and targeted the wrong house. And few are stunned by it. Narco-traffickers are at war in this city of 1.5 million law abiding citizens be damned. El Paso -- In the mid-1990s, the United States began training Mexico's soldiers in hopes of stopping the flow of drugs through Mexico and ending corruption. 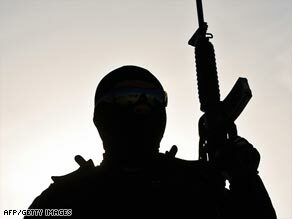 Some of those trained by U.S. forces formed the Zetas, a criminal organization that works as assassins for one of the drug cartels fighting in Juárez, Mexican law enforcement officials said. Today, the United States is again trying to help Mexico with its drug-cartel problem, and part of the solution could include training Mexico's military and law enforcement officers. Money for training Mexican soldiers is in the $1.4 billion Merida Initiative that was approved by Congress in 2008. The second phase of the initiative, which is being formed right now, will also include money for training Mexican soldiers and police, according to two public-policy groups that monitor U.S.-Mexico relations. Given the history of the program, some question the effectiveness of that policy. "You can train someone, but that still doesn't affect their morals," said Richard Newton, a former federal customs agent in El Paso, now a member of the group Law Enforcement Against Prohibition, which favors legalization of some drugs. "I don't care how good the training is. The problem is that these people can be bribed and they may go to work for the cartels." 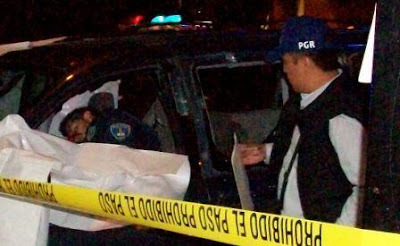 Ciudad Juarez, Chihuahua - A Chihuahua Attorney General's Office agent was killed Friday inside his vehicle in the Jardines de San José neighborhood of Juárez. Mario Rodríguez Ferreiro, 46, was shot multiple times at Plutarco Elías Calles Avenue and Aguirre Laredo Street. 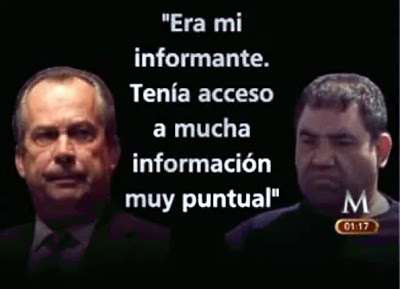 Rodríguez Ferreiro participated in a recent investigation to fire corrupt state police officers, Chihuahua state police officials said. Also in Juárez, federal police said they arrested four "sicarios," or hit men, on Friday. The men are accused of extorting money from businessmen and distributing drugs. Officials said the men are members of the Juárez drug cartel known as La Linea, which has been involved in a bloody war with the Sinaloa cartel for control of the drug trade. During the arrest, authorities confiscated several items including a Chevrolet Suburban, heroin and AK-47 rifles. 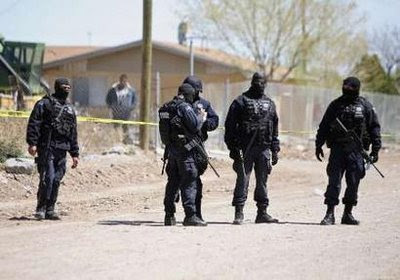 Ciudad Juarez, Chihuahua - Chihuahua state police on Monday identified five people killed in the community of Placitas on Sunday in the Valley of Juarez. They are Fernando César Mares Chávez, 18, Miguel Guadalupe Sánchez Bojorquez, 23, Jesus Hernandez Avila, 19, Gabriela Avila, 29, and Luis Gerardo Castillo Dominguez, 22. The four men and woman were found shot to death Sunday near the village of Placitas in the violent Valley of Juárez. The bodies were found about 11 a.m. on a dirt road off the Juárez-Porvenir highway, said Enrique Torres, spokesman for Coordinated Operation Chihuahua. Torres Sunday had identified one of the victims as 18-year-old Cesar Mares Chavez. Investigators found 11 bullet casings at the scene. At 9 a.m. Sunday, the body of an unidentified man was found stabbed to death on a soccer field in El Sauzal, also in the valley located east of Juárez. Chihuahua state police said the man had been stabbed multiple times. Ciuadad Juarez, Chihuahua - The Mexican army has detained an alleged gang leader who is suspected in the March 13 murders of three people with ties to the U.S. consulate in Juárez, Mexican officials said today. Coordinated Chihuahua Operation officials identified the suspect as Ricardo Valles de la Rosa, an alleged Azteca or Barrio Azteca member. Authorities plan to release details of his arrest later today. Earlier this month, armed gunmen shot to death Arthur Redelfs, a detention officer with the El Paso County Sheriff's Office; his wife Lesley Enriquez Redelfs, who worked for the consulate; and Jorge Salcido Ceniceros, a maquiladora supervisor and husband of Hilda Antillon, also a consulate employee. Police said the gunmen in two separate vehicles pursued the victims after they had left a children's party at the Barquito de Papel hall in Juárez. The killers used AK-47s and 9mm handguns. The FBI, DEA, El Paso County Sheriff's Department and other law enforcement agencies teamed up to investigate the murders. However, their investigation is limited to the U.S. side of the border. Mexican President Felipe Calderon has declared war against various drug cartels around Mexico. 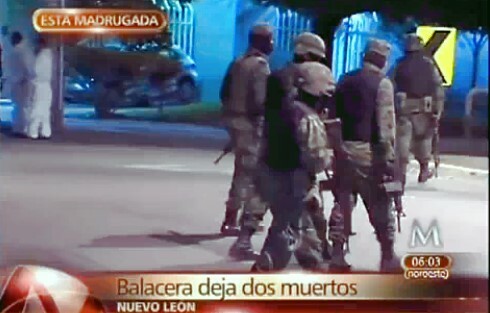 The bloody confrontation between the Zetas against the Gulf cartel, which appears to be assisted by the Sinaloa cartel and La Familia Michoacana, is spilling blood all over the streets of northeastern Mexico. The victims of the massacre are primarily rival sicarios and in certain instances police officers and military personnel. What is troubling is that too many innocent bystanders are getting killed when bullets find them when getting caught in the cross fire. What is more troubling is that in some cases, the innocent victims are getting shot by the armed forces that are supposed to protect them in the first place. Some would argue that a huge militarization of forces deployed in the streets of Mexico with almost daily firefights is bound to produce collateral damage. But we have seen in certain cases a military that is bent on responding to the attack of sicarios almost in a blind, uncontrolled manner, where it almost appears that they kill anything that moves. Consider that incident that occurred on March 19, 2010 at the prestigious Institute of Technology in Monterrey. Official statement from the Mexican Army and state government had mentioned that two gunmen were killed during a gunfight after they tried to evade the military. This would indicate that the people killed were running away. But the two people killed were not involved in any criminal activity, but were merely innocent students with excellent academic records at the institute. Board of Immigration Appeals agrees that Mexican government agents or the "cartel" would likely torture and murder him. The House of Death informant, Guillermo Ramirez Peyro, has won a huge victory in the U.S. Court system. After some five years of battling in the immigration courts, twice being granted protection under the Convention Against Torture, and twice having that lower court ruling overruled by the Board of Immigration Appeals (BIA) — and twice having that BIA decision reversed and remanded by the Eighth Circuit Court of Appeals — the BIA has finally ruled in Ramirez Peyro's favor. Barrio Azteca threat targets law officers. El Paso, Texas -- The Barrio Azteca gang could be plotting to kill El Paso law enforcement officers in retaliation for a recent crackdown on gang members, an alert issued by the U.S. Department of Homeland Security warned. "The Barrio Azteca gang may issue a 'green light' authorizing the attempted murder of LEOs (law enforcement officers) in the El Paso area," stated a copy of the alert obtained by the El Paso Times. A "green light" is a murder sanctioned by the military-style leadership of the gang. 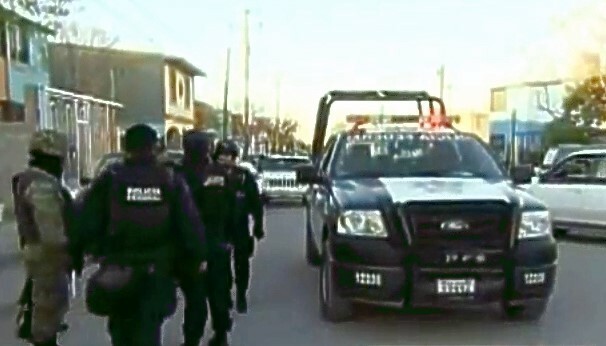 The gang works with the Juárez drug cartel and is under scrutiny for its possible involvement in the unsolved murders in Juárez of three people tied to the U.S. Consulate. The warning, or Officer Safety Alert, stated that the potential threat was "uncorroborated" but that officers and their families should take extra precautions. "We understand it's uncorroborated information so we don't know how serious a threat it is," said Special Agent Andrea Simmons, spokeswoman for the FBI in El Paso. The alert, issued Monday, tells officers to wear body armor while on duty, to vary routes to and from work and to tell their families to watch for any unusual activity. It also stated that suspicious people and vehicles near government buildings should be reported. Rural towns across the border in Chihuahua bloodied by cartel violence. Fort Hancock, Texas -- People seem serene working the cotton and alfalfa fields in the rural community 50 miles southeast of El Paso. Fort Hancock is a stark contrast to the rural towns across the border in Chihuahua, where residents are victims of brutal daylight attacks at their homes and shops and on their roads. One of every four killings in and near Juárez has taken place in small rural communities that share a border with Texas towns like Fort Hancock. Because of fear, Mexican residents are fleeing these towns and seeking asylum in the United States through Fort Hancock's international bridge. 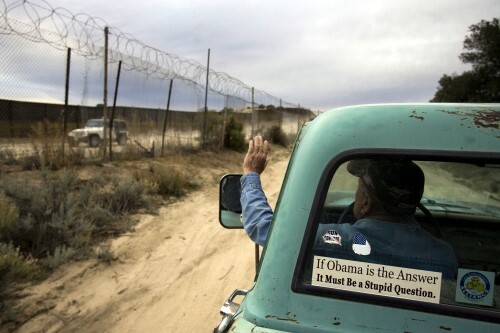 These border agricultural towns in Chihuahua are better known as the Valley of Juárez, an area the U.S. State Department has said should be avoided. The violence-plagued towns are also adjacent to Tornillo, Fabens and San Elizario. On Thursday, two men were killed in the border town of Praxedis Guerrero, close to Tornillo. One was shot more than 40 times at a cell-phone shop. The U.S. Border Patrol said these are "hot corridors" for drug and human smuggling. Both the Sinaloa and Juárez drug cartels are fighting to control these passages. RiseMakaveli is a person who lives in Mexico and is in the middle of the waging war of the two cartels, as are many people living in the border towns of Mexico. Because of his geographical location, RiseMakaveli has personal knowledge and has known some of the principles. He is not involved in any drug cartel activity (as far as we know) but has known some of them as a matter of living among them. He has a vast knowledge of what is going on, almost like an insider look of what is happening. 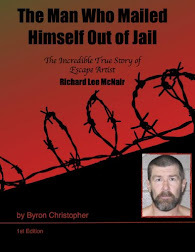 Because of his present situation and we that follow these matters know that these things can be dangerous, he has chosen to remain anonymous to protect himself and his family. 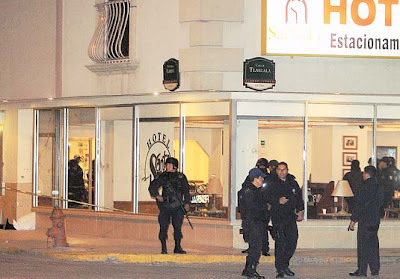 Borderland: How have the people (el puebo) mamanged to interact with the Gulf cartel? You see, it’s hard to believe that this war will end anytime soon. 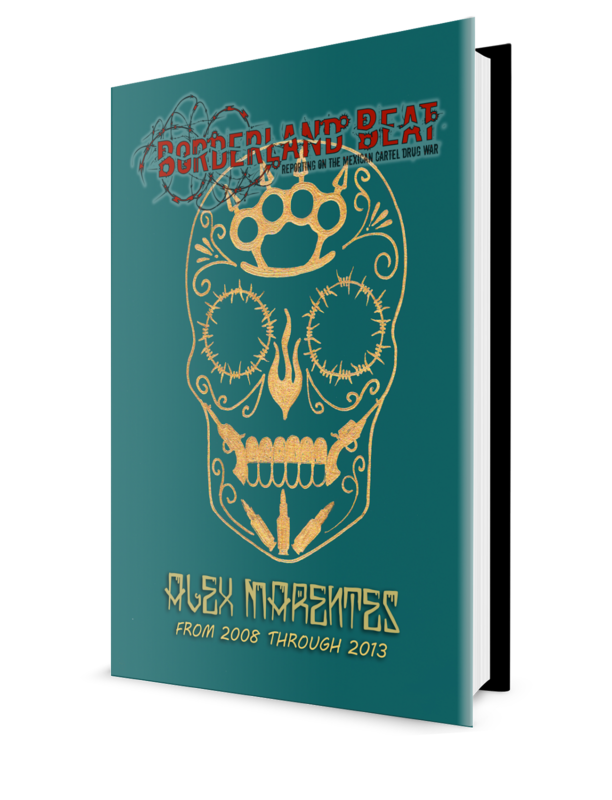 The plague of Los Zetas has pretty much injected itself into the very arteries of Mexico.. These guys are everywhere, politics, small businesses, restaurants, newspapers, media..
Mexico City – Federal police arrested two Colombians and two Mexicans suspected of laundering cash proceeds of narcotics sales for two powerful criminal organizations – Mexico’s Sinaloa and Norte del Valle cartels. The four suspects, from whom $1.7 million in bills of small denomination was confiscated, were arrested during a meeting in Mexico City. They were accused of sending proceeds from drug transactions in the United States from Mexico to Central America, South America and Asia, the head of the Federal Police force’s anti-narcotics division, Ramon Pequeño, told a press conference. 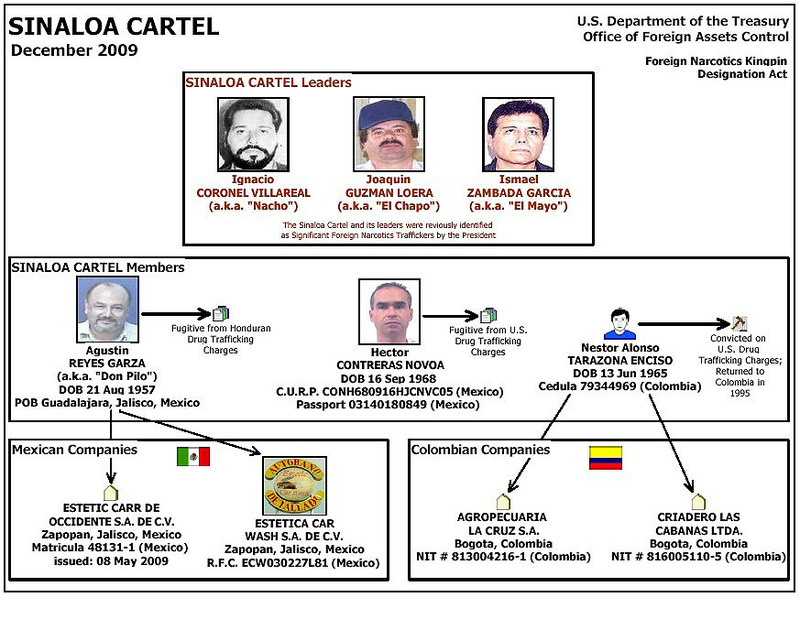 The Colombian suspects were identified as 49-year-old Marcos Ivan Espinoza de Leon, alias “Alexander Navarro,” who allegedly served as a liaison between the two cartels; and 41-year-old David Garcia, alias “Dagoberto,” a member of the Norte del Valle cartel and former Colombian soldier. 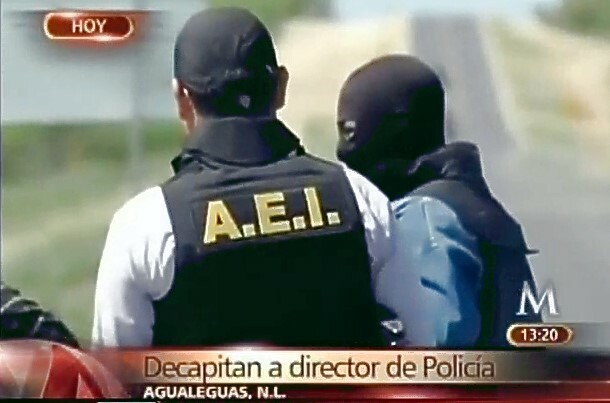 41 escape Matamoros-area facility known to detain Zeta, Gulf Cartel members. Matamoros, Tamaulipas - Tamaulipas authorities are on the hunt for two prison guards who are accused of helping 41 inmates escape from the Matamoros municipal detention center (CEDES, formerly known as CERESO) early Thursday morning. 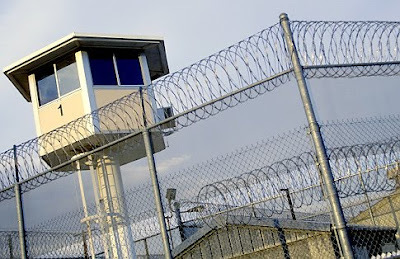 The escape took place between 4 and 5 a.m. at the center when 38 federal inmates, three state inmates and two prison guards fled the center, said State Security Secretary Jose Ives Soberón Tijerina. CEDES is located on the outskirts of Matamoros in the rural community of Santa Adelaida, about 15 miles from Brownsville. The two prison guards were identified as Jose Angel Reyes Segovia and Agapito Uvalle Escalante. In response to the escape, Soberón fired CEDES Director Jaime Cano Gallardo and the state director for the detention centers, Orlando Sauceda Pinta. “They are subject to an investigation,” Soberón said. Agualeguas, Nuevo Leon - The decapitated body of the police chief of a northern Mexico town and the body of his brother were found inside the chief's patrol truck Friday. The Agualeguas municipal chief and his brother were discovered after state police received a telephone call early Friday about a patrol vehicle abandoned near a village more than 100 kilometers (60 miles) west of Monterrey, Nuevo Leon’s capital, state Attorney General Alejandro Garza y Garza said. Forensic experts examine a police patrol car after police found the decapitated body of a town police chief and the body of his brother inside the car near the town of General Trevino, Mexico Friday March 26, 2010. The windshield and driver's door of Cerda's patrol car had 'C.D.G,' an acronym for the Gulf drug cartel, written in blood. The body of Heriberto Cerda, the police chief in Agualeguas, was found on the bed of a patrol pickup truck, which was left on a dirt road in the nearby town of General Trevino. His head was on his lap, said a spokesman for Nuevo Leon state prosecutors who spoke on condition of anonymity because he was not authorized to discuss the case. The assistant police chief in Nogales, Sonora and his bodyguard were killed late Thursday night in a barrage of gunfire. The deputy police chief in Nogales, Son., Adalberto Padilla Molina, and bodyguard Iván Sepúlveda Espino, were killed Thursday night when police say a small group of men in a pickup truck pulled up to the van they were riding and opened fire, according to reports in the Sonoran newspaper El Imparcial. reported. The victims were traveling in a green Dodge Caravan along the main street called Luis Donaldo Colosio about 9:45 p.m. when the shooting occurred. Nogales, Sonora - Adalberto Padilla Molina and his bodyguard, Iván Sepúlveda Espino, were driving in a minivan in central Nogales on Periférico Luis Donaldo Colosio and El Greco Boulevard when three people in a gray Ford pickup truck opened fire with AK-47s, said Jose Larrinaga, a spokesman for the Sonora prosecutor's office. The shooting occurred at 9:45 p.m. near a shopping center parking lot located about three miles south of the U.S.-Mexico border. A 17-year-old boy who standing outside of a nearby funeral home was injured as he tried to avoid the gunfire and is in stable condition, Larrinaga said. Padilla and his bodyguard didn't have a chance to shoot back or avoid the attack, Larrinaga said. Padilla, who has a military background, took over as assistant police chief on Dec. 3. Adalberto Padilla Molina, the deputy police chief in Nogales, Sonora., and his body guard were killed Thursday night in an ambush. Cerralvo, Nuevo Leon - A confrontation between elements of the Mexican Army assisted by the Mexican Navy-Armada of Mexico (Semar) against an armed commando in the municipality of Cerralvo, left six suspected gunmen dead. According to reports, the incident took place in the community of Alamo, where they found several individuals who were acting suspiciously aboard two vehicles, an Avalanche and a Suburban. The report said that when the suspects saw the federal troops, they began a gunfight that killed four of the attackers, two of which were inside one of the vans and two others were killed as they attempted to flee. It was later learned that two other members of the armed group were pursued and killed by federal troops during a second confrontation a few minutes later. Cerralvo municipality was heavily cordoned by elements of the Semar and the Mexican Army, and was patrolled by a helicopter of the federal forces. 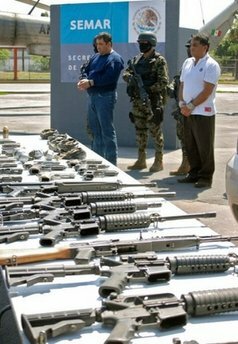 Two alleged members of Beltran Leyva's drug cartel are presented to press at the headquarters of the Mexican Navy, in Monterrey, Nuevo Leon State, Mexico. Mexican drug cartels are increasing their dominance in the illegal US drug market through closer ties with street gangs and increased production, according to a US Justice Department report out Thursday. Motorists head into Mexico at the border in San Ysidro, California. Drug kingpin Jose Antonio Medina hid heroin in secret compartments of vehicles crossing between the Mexican city of Tijuana and the US city of San Diego, one of the world's busiest border crossings. Seized drugs and packages of marijuana and crystal meth are displayed during a presentation to the press in Tijuana, Mexico, Wednesday, March 24, 2010. According to the State Police working with the army, six suspects busted, allegedly related to the Arellano`s Felix drug cartel, were nabbed with guns and drugs. Guarded by police officers, Jose Antonio Medina, aka Don Pepe, center, is presented to the press in Mexico City, Thursday, March 25, 2010. Medina was arrested in the western state of Michoacan on Wednesday and is being held for prosecution, said Ramon Pequeno, head of the anti-narcotics division of Mexico's federal police. 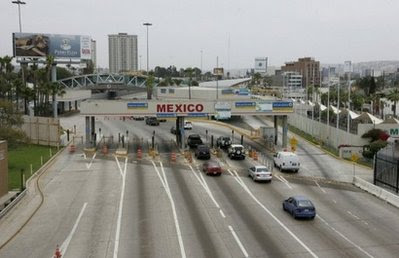 Tijuana, BC - Federal police have arrested Mexico's "King of Heroin," a powerful drug trafficker allegedly responsible for running thousands of pounds of heroin into Southern California each year, authorities said Thursday. 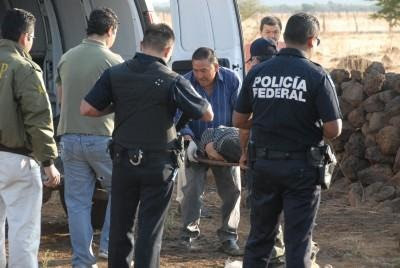 Jose Antonio Medina, nicknamed "Don Pepe," was arrested in the western state of Michoacan on Wednesday and is being held for prosecution, said Ramon Pequeno, head of the anti-narcotics division of Mexico's federal police. Medina, 36, ran a complex smuggling operation that hauled 440 pounds (200 kilograms) of heroin each month across the Mexican border in Tijuana for La Familia drug cartel, Pequeno said. The White House National Drug Threat Assessment says that while heroin use is stable or decreasing in the U.S., the source of the drug has shifted in recent years from Colombia — where production and purity are declining — to Mexico, where powerful drug cartels are gaining a foothold in the lucrative market. Mexican drug hitmen are shooting up houses and terrorizing remote farming towns on the U.S. border, forcing residents to flee, as they try to secure key trafficking routes into the United States. A broken and empty swing stands in a deserted park in Porvenir March 25, 2010. Mexican drug hitmen are shooting up houses and terrorizing remote farming towns on the U.S. border, forcing residents to flee, as they try to secure key trafficking routes into the United States. In the latest flare-up of border drug violence, masked, heavily-armed men are torching homes, firing on shops and businesses and have killed at least three local politicians in a cluster of towns near the deadly drug war city of Ciudad Juarez, across from El Paso, Texas. El Porvenir, Mexico - In the latest flare-up of border drug violence, masked, heavily-armed men are torching homes, firing on shops and businesses and have killed at least three local politicians in a cluster of towns near the deadly drug war city of Ciudad Juarez, across from El Paso, Texas. Residents in the cotton and alfalfa-growing town of El Porvenir say dozens of people have been killed this year. Local police have fled and many residents are seeking asylum in Texas or crossing the border to stay with relatives, they say. 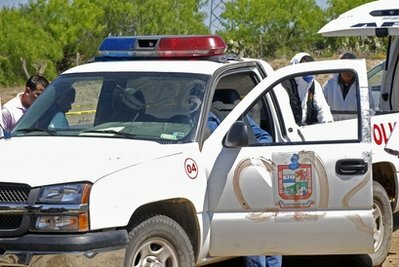 Police stand near a crime scene in La Esperanza March 25, 2010. "Here, everyone is afraid. We are seeing so many killings," said a woman in El Porvenir, across the border from the Texan town of Fort Hancock, declining to give her name. President Felipe Calderon has staked his political future on reining in the drug killings that worry investors, tourists and Washington. He has sent 8,000 soldiers and federal police to the Ciudad Juarez area alone to try to defeat the cartels. But the area outside the city's manufacturing zone, known as the Juarez Valley, is rapidly becoming a no-man's land where despite an army presence, people are abandoning towns and politicians are too scared to campaign for local elections in July. Journalists rarely venture into the area. 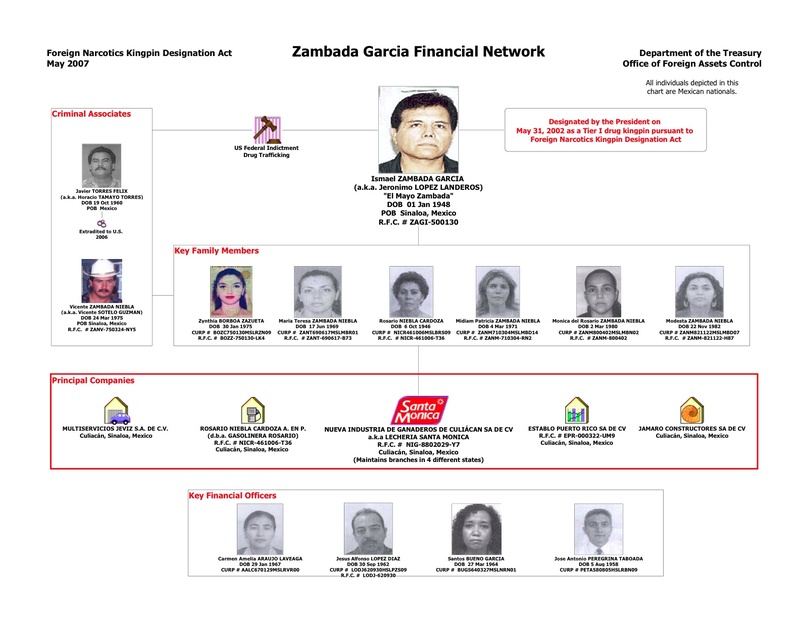 54 Gulf, Zeta traffickers named to Treasury Department watch list. 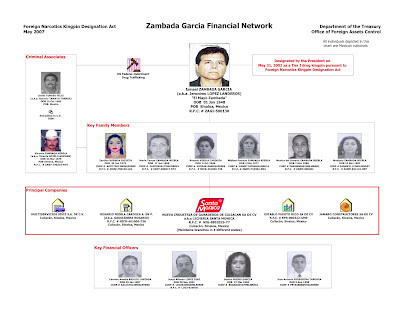 They are among the top drug traffickers, assassins and money launderers for the Gulf Cartel and their former enforcement wing the Zetas. But as of Wednesday, they have become outcasts in the international finance community. The designation — established under the 1999 Kingpin Act — makes it illegal for U.S. citizens to conduct commercial transactions with anyone named to its ranks and freezes all of their assets within the United States. U.S. Secretary of State Hillary Rodham Clinton speaks during a news conference in Mexico City. "The grim truth is that these murders are part of a much larger cycle of violence and crime that have impacted communities on both sides of the border," Clinton said. Hilllary Clinton, the US secretary of state, has pledged to help Mexico broaden its war on drug gangs, saying the cartels were not just at war with the Mexican government but with the US as well. The focus now, US officials say, is that some of the $1.6bn aid package, known as the Merida Initiative to fight the drug war, will be redirected to target the roots causes that generate the violence. Some of the money will be used to reinforce social programs and government institutions that combat the drug cartels. The city of Juarez, Mexico, has been besieged by the ongoing drug war; which has caused many affluent residents there to cross the border for the safety of El Paso, Texas. Bill Whitaker reports. Meixco City – Mexican lawmakers and organizations offered mixed reaction Wednesday to a plan approved by a majority of the nation’s governors that would subsume municipal police forces into state-level law enforcement agencies. While some say the approach could improve coordination and aid efforts to purge corrupt cops, others contend that any reform will fail unless accompanied by an overhaul of the way Mexican police operate. Twenty-three members of a council that includes the governors of Mexico’s 31 states and the mayor of Mexico City signaled their assent Tuesday to the plan to eliminate local police forces. The notion has emerged amid a wave of drug-related violence blamed for 19,000 deaths nationwide since December 2006. More than half the country’s 2,022 municipal police departments have fewer than 20 officers, according to the federal Public Safety Department, whose head, Genaro Garcia Luna, formulated the plan approved by a majority of the governors. To become a reality, the proposal would have to pass Congress and be ratified by state legislatures. 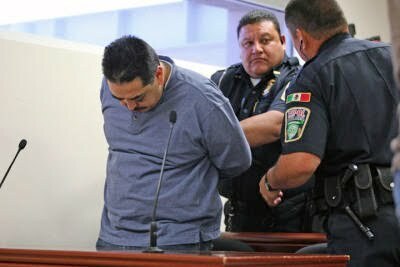 Monterrey, Mexico – The controversial mayor of San Pedro Garza Garcia, a city in the northern Mexican state of Nuevo Leon, has admitted that he bought information from a drug trafficker in an effort to rid the wealthy municipality of kidnappers and drug gangs. “There is a network of Zetas (the former armed wing of the Gulf drug cartel) in the Monterrey metropolitan area that has been operating for a decade and, if there is a group that wants to help me eliminate them with information, then that information is welcome,” Mayor Mauricio Fernandez said in a press conference on Tuesday. Fernandez, who shocked Mexico several months ago with the announcement that he would use “rough clean-up groups” to rid his city of drug traffickers, acknowledged that Alberto Mendoza Contreras, head of the Beltran Leyva drug cartel in Nuevo Leon, had been working for him as an informant since January. Mexican marines captured Mendoza Contreras and his deputy, Hugo Lopez Reyes, who had been operating in San Pedro Garza Garcia, an upscale southwestern suburb of Monterrey, the capital of Nuevo Leon, last Friday. 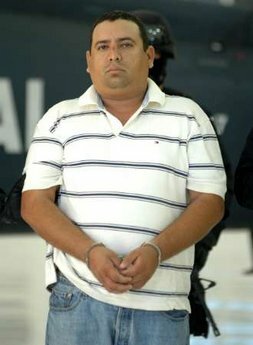 Mendoza Contreras worked for the leaders of other drug cartels, such as Ignacio “Nacho” Coronel and Juan “El Azul” Esparragoza, both members of the Sinaloa cartel, finding people they were looking for, the Navy Secretariat said. Ciudad Victoria, Tamaulipas - The government of Tamaulipas officially informed that in Ciudad Victoria, an armed confrontation left a toll of 4 people killed, including a soldier. According to the Center of Statistical Information of the Government of Tamaulipas, a confrontation occurred between armed sicarios and elements of the military. Who Will Step Up and Do Something? Mexican Military Copter Over U.S.
Are the Narcos Fighting Scared? Email from La Nueva FEDERACION?